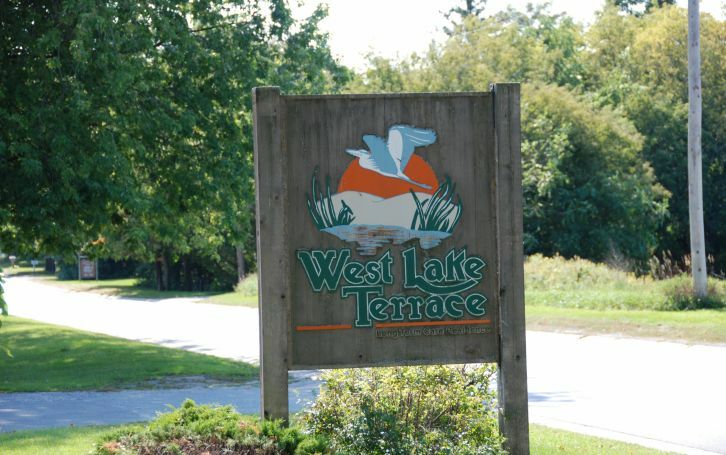 Since launching its “wound rounds” program in 2017, the West Lake Terrace team has been successful at healing lesions quickly for residents who move into the Prince Edward County long-term care home with skin issues. The team has also been successful at preventing skin lesions from occurring. The wound rounds program centres on continuous scrutiny of residents who have wounds or are at risk of developing skin issues, says administrator Jackie Maxwell, who came up with the idea for the program. Jackie notes that while the program was her brainchild, it has been two managers, RAI co-ordinator Tanya Williams and clinical care co-ordinator (CCC) Amy Harper, who have championed leading the initiative. Every morning at the multidisciplinary meeting, team members discuss any skin changes in residents. If there are any issues, a referral is given to nurse practitioner Ali McTeer as well as a detailed explanation of treatments used to date. Ali is brought in to review wounds with the team members and to make suggestions. Tanya then reviews the care plans and documentation to make sure orders are in the system and running smoothly. When a resident has an active wound, Ali is at West Lake Terrace every week to monitor the situation. Team members will go through the best practices in wound care guidelines and initiate treatments immediately when wounds are discovered, Jackie says. “We have definitely reduced the frequency (of wounds), we have reduced the number of treatments the staff are dealing with, and the length of time from finding the issue to resolving the issue has been decreased as well,” Jackie tells The OMNIway. Jackie applauds Tanya for taking the lead on the program when she joined the West Lake team in July 2017 as the home’s CCC, working well with Ali to improve skin integrity at the home. The administrator adds that when Amy joined the team as CCC, she jumped right into the wound rounds program and has done an excellent job as one of the initiative’s champions. Amy had served as a registered practical nurse at another OMNI Health Care home – Maplewood – so she knew about OMNI’s wound-care protocols and successfully took over submissions of residents with high-intensity needs when Tanya became RAI co-ordinator, Jackie says. “As far as being wound-care champions, both (Tanya and Amy) have done an excellent job of taking on that role and running with it,” Jackie says. While Tanya and Amy have taken the lead on the initiative, Jackie says all team members work collaboratively through their roles to treat and prevent wounds.